Climbing a mountain is no easy task. In fact, mountaineering is considered as one of the most difficult endeavors one can undertake. 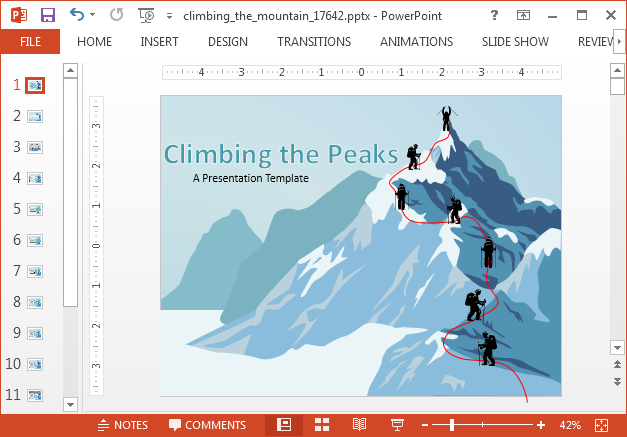 The Animated Mountaineer PowerPoint Template is the name of an animated PowerPoint template, which perfectly illustrates subjects like mountain climbing, hardship, strength, planning and success. 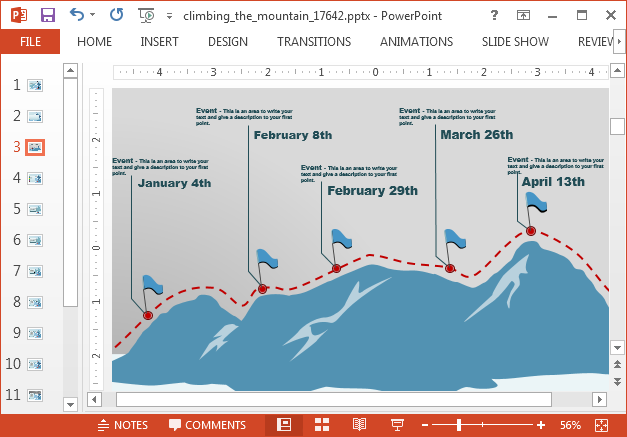 With animations of mountaineers climbing a mountain, this animated template serves as an excellent presentation slide deck for covering topics associated with mountaineering, as well as to illustrate ideas like motivation, success, planning, hard work and the like. 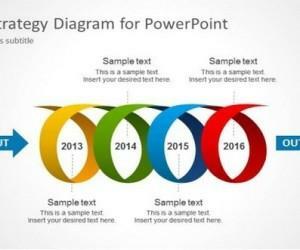 With the help of the various layouts given in this animated template for PowerPoint, you can easily create timelines and roadmaps. 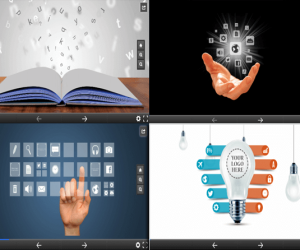 There is a specific slide especially designed for this purpose, with editable objects and an animated layout which loads each part of the timeline on mouse click. 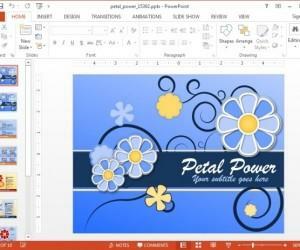 You can also create bullet lists with different colors highlighting each aspect of your list. 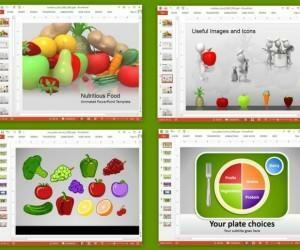 You can also change the default colors of the bullet list by using formatting options in PowerPoint. There are sequential slides which complete a story by showing the path of a mountaineer climbing a mountain and eventually reaching the peak. 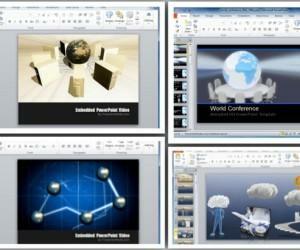 You can also make slides that highlight different essential points related to your presentation topic by using icons. 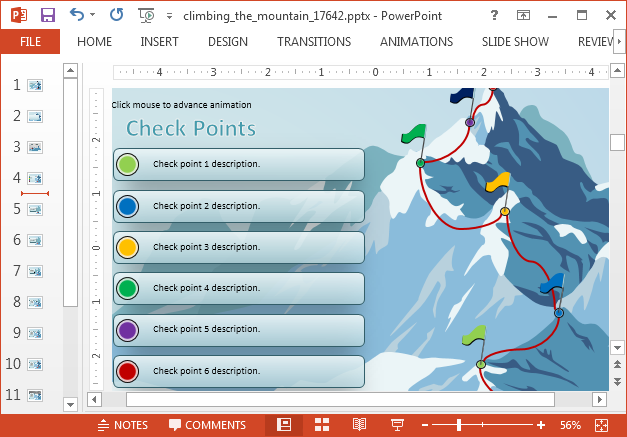 There is a sample layout which depicts different warning signs for mountaineers, with an editable path and mountaineer silhouettes. 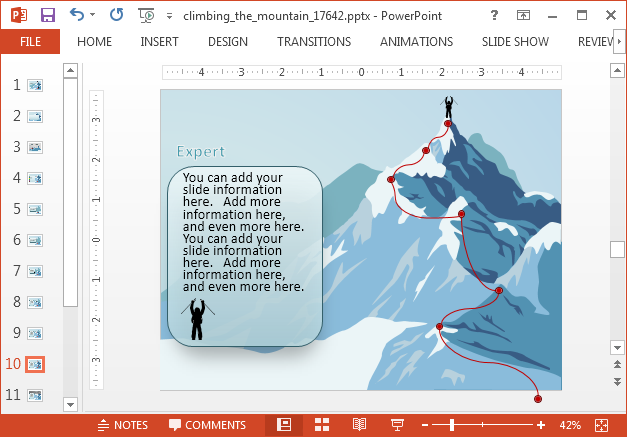 You can not only replace these sample icons but even change the path of the mountaineer(s) shown in the sample slide by dragging and dropping slide objects. 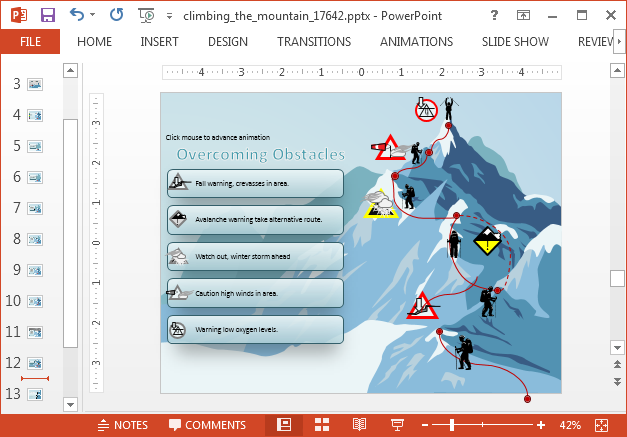 You can use the mountaineering symbols and icons in the clipart slide for making custom slides. These icons and symbols provide markers, signs and mountaineer silhouettes. 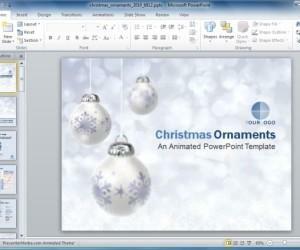 PowerPoint users can download this template for both Mac and Windows versions of Microsoft PowerPoint.